I’m gonna be honest here, this year is off to a pretty rough start. Losing Lemmy, Bowie, and Rickman in about two weeks is really hard to swallow. Every one of those dudes influenced us in a big way. Lemmy and Bowie are obvious, but without Die Hard… none of us would have made it to our 20’s. Thanks for everything, guys. You’ll be sorely missed. Now, on to some better news. 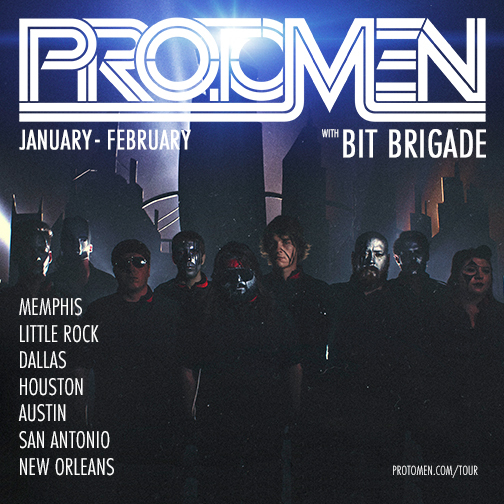 We’ve got some rad southern shows starting on Friday, with our good friends, Bit Brigade. If we don’t see you there, we probably won’t see you for a long time. Check below for the details and ticket links. And to stay up to date between mailers, don’t forget these fellas: Instagram, Facebook, and Twitter. After the excruciating wait, you should be enjoying your This City Made Us 10″ Act III record single by now. However, it sounds like a few people that bought the pre-order on the last tour haven’t sent updated mailing addresses, so if you know you bought it at a show and haven’t received it yet, send a message here with some info.